Rounds 7 & 8 of the HSBC Sevens World Series are played in the exotic cities of Hong Kong and Singapore respectively; played on successive weekends making it an ideal opportunity for rugby fans to attend both events. Ideally you will require a minimum of 11 nights' accommodation, maybe 6 nights' in Hong Kong and 5 nights' in Singapore (or the other way around if it suites you), but whichever you choose we are confident you will have an unforgettable experience whilst staying in two of the most popular cities in South East Asia. If you are considering attending both these events in 2019 - then we are now taking advanced bookings, so please give us a call on Freephone 0800 999 65 66 for the best possible package prices available. Overnight flight from either Heathrow, Gatwick or Manchester. Day 1 - Today arrive in Hong Kong. 1st nights accommodation. Day 2 - Day one of the Hong Kong Sevens. (Evening at leisure). Day 3 - Day two of the Hong Kong Sevens. (Evening at leisure). Day 4 - Day three of the Hong Kong Sevens. (Evening at leisure). Day 5 - Day & Evening at leisure to explore Hong Kong. Day 6 - Day & Evening at leisure to explore Hong Kong. Day 7 - Hong Kong to Singapore (Day flight). 1st night Singapore. Day 8 - Day & Evening at leisure to explore Singapore. Day 9 - Day & Evening at leisure to explore Singapore. Day 10 - Day one of the Singapore Sevens. (Evening at leisure). Day 11 - Day two of the Singapore Sevens. (Evening at leisure). Day 12 - Depart Singapore and your flight back to the UK. The above itinerary is only an example and the shortest time required to enable you to attend both tournaments comfortably. 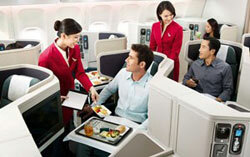 * Return International flights - UK/Hong Kong/Singapore/UK. * 6 Nights in Hong Kong with a large choice of hotels. * 5 Nights in Singapore with a large choice of hotels. 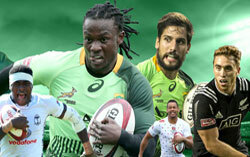 * Access to our Official Hong Kong Sevens Match Tickets at cost. 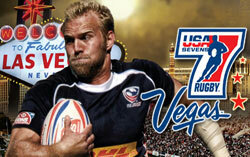 * Access to our Official Singapore Sevens Match Tickets at cost. 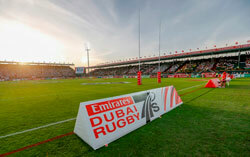 * Access to match day hospitality at the Singapore Sevens at cost. * Services of an Atlas Group Travel Representative on tour. * Group discount available (10 or more passengers). This particular tour we will be organised using or tried and tested 'Tailor-made Service' giving you total flexibility and choice, meaning your Rugby Sevens Doubleheader will be the package that you tell us you want and at a price that you feel comfortable with.